Magazinzoo.com Fashion How to choose dress according to body shape or type? You have to know your own body before going shopping to dress according to body shape and wear the almost perfect attire. We will classify body types as follows: Standard, X, H, O, V and A. Your body type corresponds to one of these categories or can even collect characteristics of two of them. Once you know which classification your figure belongs to, you will know which is the perfect way to dress in your case. 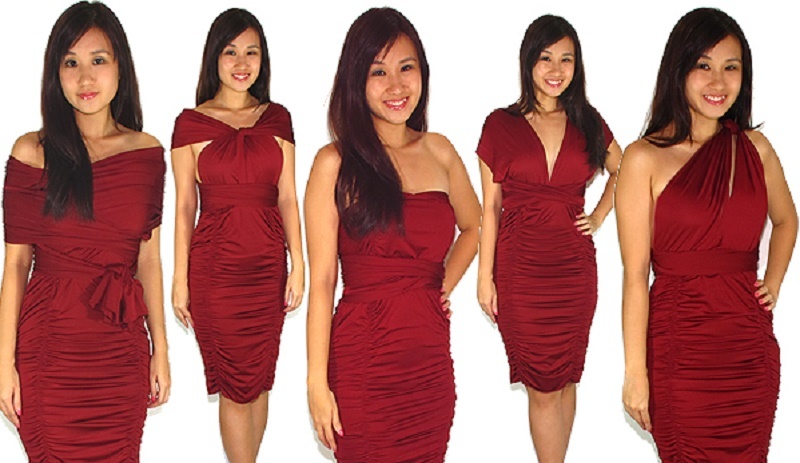 Wearing the right dress according to body shape can totally change the way you feel about it. It is not necessary to lose or gain weight, plastic surgeries are not necessary. What we will see here is that there are natural (and free) ways to improve the appearance. In some cases, it can be difficult to identify the type of body you have, while some women can do it just by looking in the mirror. If you have problems, remember a time when you gained weight: In what area of your body did most of the increased weight appear? Standard: The easiest type of body to wear. When a woman with this type of body gains weight, this increase is noticed uniformly throughout the body. Due to the balanced proportion of the body, any wardrobe you choose will look good. Body type X: This letter refers to the type of body we call “hourglass”. The shoulders and hips have the same extension and the waist is thin. When choosing to clothe to opt for garments that conform to the curves instead of hiding them. Pencil or tube skirts are a good option. They are traditional and modern at the same time. The skirt should not be too wide but not too tight. It is the best option to highlight the figure without adding unnecessary volume. The dresses with imperial waist are perfect for this type of body. Complement the dresses with accessories such as shiny straps that draw attention to the waist. One-piece dresses with a skirt are a great option: the hips stand out and the fitted chest contrasts with the slim waist. You can also try on wide pants. They serve to balance the curves. In this type of body the shoulders, the bust and the hips have a similar extension and the waist does not have a defined curve. When looking for blouses opt for ruffles and similar details since these give a bigger appearance to the body. Opt for those who have ties at the waist to define it and flyers to give volume to the bust. The jeans or boot-cut pants instantly create a curved appearance. To increase this appearance, opt for those with pockets on the back. Look for one-piece dresses with a skirt and tight bodice. These dresses can transform the H-shape into an “hourglass” easily. Opt for bulky blouses that draw attention to the bust. Buy jeans and pants that have a large waistband to hold the middle area with it. The not very large but complex prints serve to draw attention to any part of the body. Remember it when you look for blouses or pants. The shoulders and bust are more prominent than the hips. To create a proportionate appearance it is essential to give volume to the lower part of the body. Bubble dresses and tulip skirts are ideal. They balance the shoulders highlighting the hip. Opt for light colors at the bottom and dark colors at the top to create a more noticeable appearance on the first. The key when looking for jeans and pants is the volume: the wider, the better, since what is intended is to disguise the amplitude of the upper body. The hips are wider than the shoulders in this type of body. Balance this figure with striking garments at the top, preferably light colors, and dark colors at the bottom. Tight jeans and jeans are ideal for this figure. While disguising disproportion with respect to the top gives a slimmer and slimmer appearance. Opt for shoes or sneakers of the same color as the pants or jeans to give the impression of longer legs. Look for horizontal stripes to highlight the torso and disguise the lower part of the body. Blouses with ruffles are also a good way to add volume on top. Similarly, when looking for dresses opt for those that highlight the top with fluffy sleeves, shiny waistbands or flashy designs. Any element that draws attention to the upper half. Apply these simple tips on dress according to body shape to look sophisticated and fashionable. Previous Previous post: iPhone X vs Samsung Galaxy S8, Which is better? Next Next post: Samsung Galaxy S9 vs Galaxy S8, what differences will there be between them?